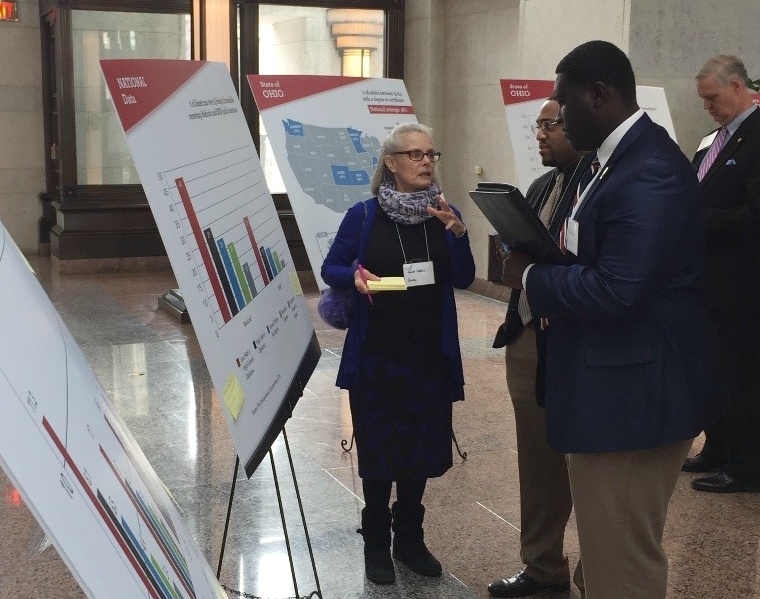 Cradle-to-career initiatives in Ohio, including six members of the StriveTogether Cradle to Career Network, took steps toward improving educational outcomes through policy change at a day-long event January 31 in the state capital of Columbus. 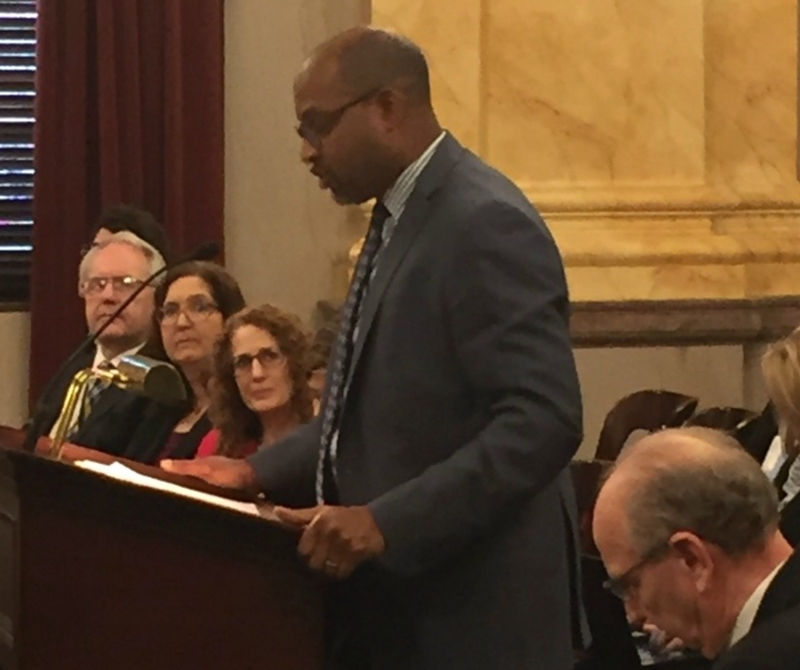 The initiatives were joined by with 200 education leaders to share data and recommendations, including a hearing of the Senate Education Committee. Peggy Lehner, chair of the Senate Education Committee; Jim Tressel, Youngstown University president; Paolo DeMaria, Ohio’s superintendent of public instruction; and economist Eric Hanushek of Stanford University added their expertise to the event. The day started with a data walk organized by the cradle-to-career initiatives. Attendees explored displays highlighting the state’s progress on its 2025 postsecondary credential goal and other critical milestones. The data emphasized the direct link between the milestones and postsecondary attainment. The data around the room was a powerful visual reminder of the immediate change needed at multiple levels to reach and sustain the state’s vision. The Ohio Department of Education’s goal is that by 2025, 65 percent of Ohioans will have a 2- or 4-year degree or a certificate for a marketable career. Currently at 44 percent attainment, Ohio ranks 33rd in the country. Reaching 65 percent is “not a pie-in-the-sky goal. 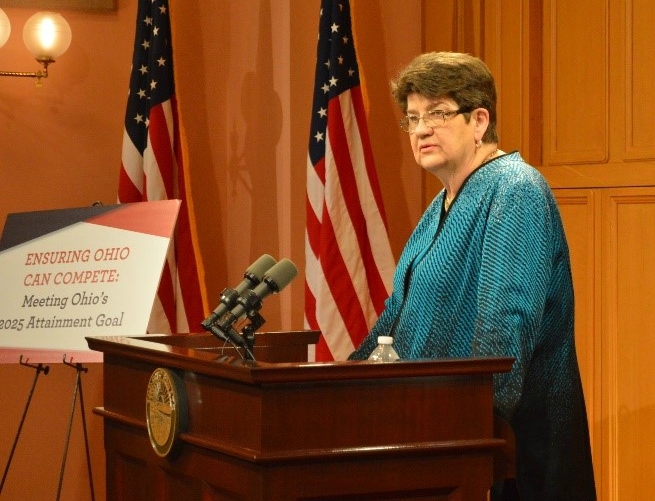 It is an economic imperative,” State Senator Sue Lehner said. Economists estimate that in 2 years, two-thirds of jobs nationally will require a postsecondary credential. 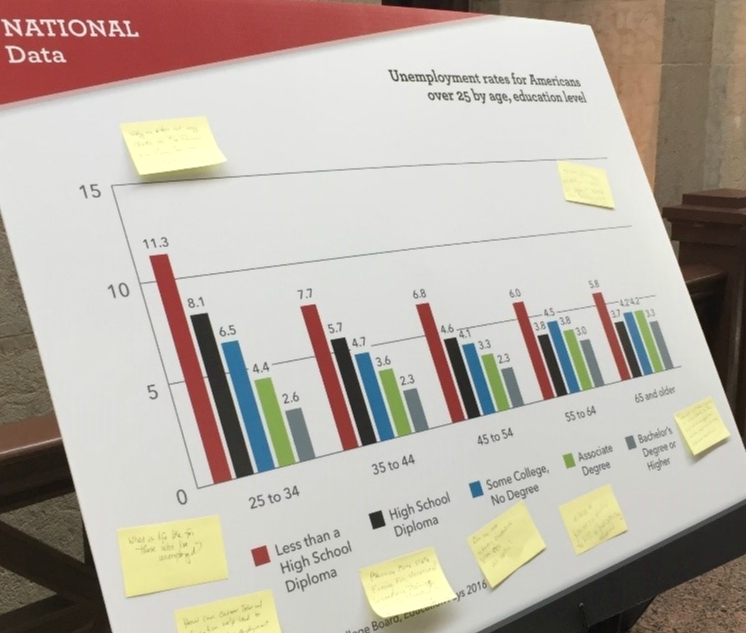 Ohio’s 44 percent attainment rate falls well short of the target, and this deficit will continue to have a significant economic impact on the state. It’s not surprising that Ohio also currently ranks 33rd in gross state product and 42nd in the nation in growth rate in income per capita. 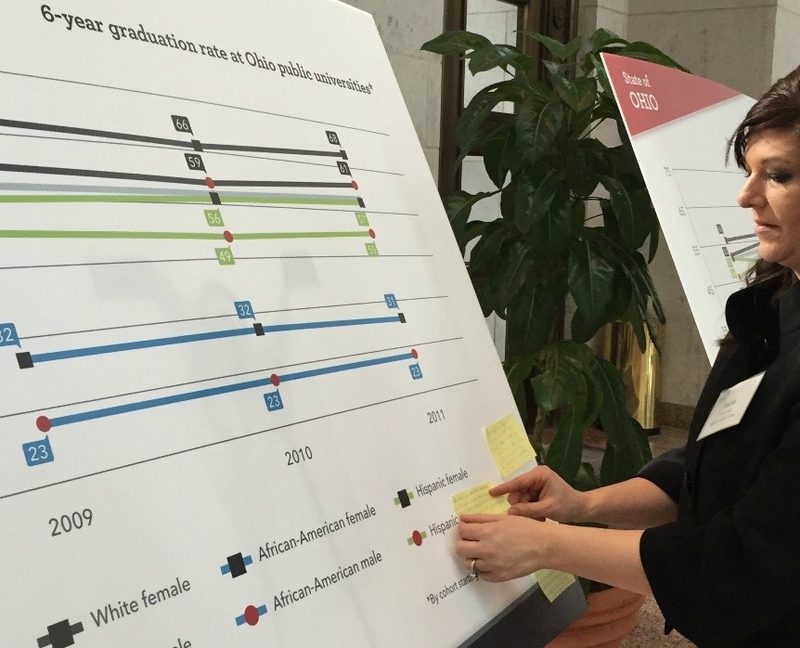 These economic health measures are intrinsically linked to Ohio’s graduates. Organizers of the event conveyed the importance of education in today’s fiercely competitive global economy. Those who get a good education are healthier and happier. They live longer. They earn more money. They’re less likely to lose their jobs, and they’re more likely to be able to support their own children. Creating a 21st-century workforce requires delivering a quality education to every child and especially children of marginalized communities. To ensure equity, states need to examine disaggregated data and look at sub-populations of student success rates. Educating just some of the state’s young people is not good enough. If all citizens prosper, so will the state. This is not a uniquely Ohio problem. So far, only nine states have achieved 50 percent attainment of degrees or certificates. Massachusetts and Colorado, the current national leaders at 55 percent, understand that there is much more work to do to reach 65 percent in the next few years. 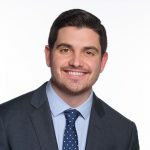 They also know that 65 percent is not enough unless they close disparity gaps for communities of color and low-income populations. Local place-based collaboratives must use disaggregated data to diagnose local problems and develop localized solutions that will close disparity gaps and raise achievement. Ohio’s employers need to work the state’s education system to prepare graduates with the necessary technical and soft skills for the high need jobs of today and the jobs of tomorrow. Policies must change at the state and local levels to support student success and create an environment that allows for systemic change. ensure that all school districts have access to, and use, National Student Clearinghouse data to know their students’ success in earning a degree or credential. Events like the one on January 31 show that Ohio is creating programs to support students, but more needs to be done in changing policy. The state has created a “Step Up to Quality” initiative to support preschool improvement and is expanding career recognition programs earlier in the elementary years. The Department of Education is working with high schools to make sure every student graduates with an education plan and has adopted College Credit Plus to help students save money and get a head start on earning college credit. But the event also showed that what is being done is not enough. According to Dr. Hanushek, improving schools should be Ohio’s top policy objective. “Improving schools takes effort, improving student performance takes effort. And it’s not about how much money is spent. It’s much more important how that money is spent,” Dr. Hanushek said.